Location, location, location in desirable North Burnaby. A truly traditionallly home designed with family in mind built with quality 2x6 construction. Main floor offers Formal living & dining rooms, with French Doors, large kitchen with island eating area + family room; done in a "French Country" decor, 2 piece powder room & grand entry way with beautiful chandeliers throughout this well maintained home. Home offers 5 large bedrooms, 2 dens, 3.5 bathrooms, plus rec & media rooms. Lovely landscaping with 2 decks, patio & garden shed. 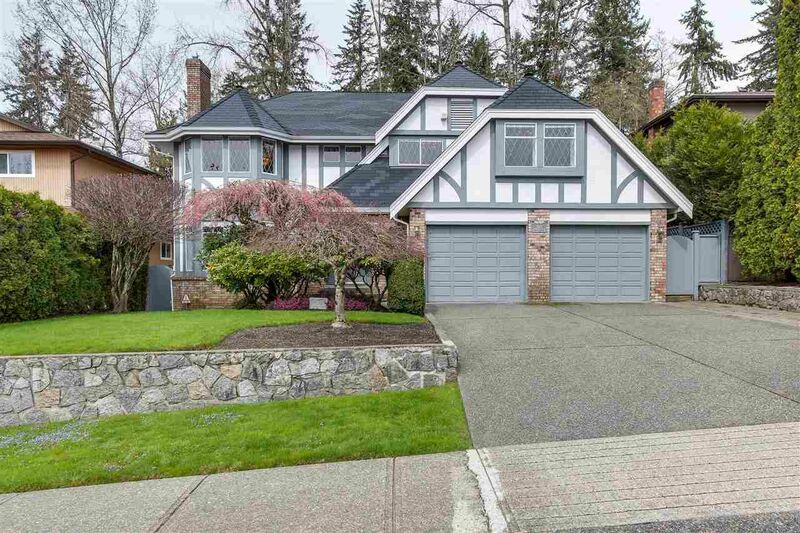 Double garage completes this Forest Hills beauty, all set in a quiet, attractive neighborhood, close to Trails, Burnaby Mtn Golf Course, Hwy 1, Lougheed & Brentwood Town Centres, SFU, schools, buses & skytrain. Easy commutes to Downtown Vancouver & North Van too. This home features a new, lifetime roof and mechanical updates. Live in this fully finished home as is or bring your decorating ideas. Easily suiteable too.